GATORBOARD also known as ULTRABOARD is a durable high-impact sign material with polystyrene surface panels that sandwich a lightweight foam core. These panels provide a high grade-printing surface that is dent resistant and perfect for permanent displays durable for interior use. Because of the composite makeup of Gatorboard it is extremely light in weight and easy to mount. Since the Gatorboard surface is moisture resistant, inks come out vibrant and sharp which is perfect for having your custom Gatorboard sign stand out. We can be also cut your Gatorboard sign to any size or custom shape depending on your artwork. 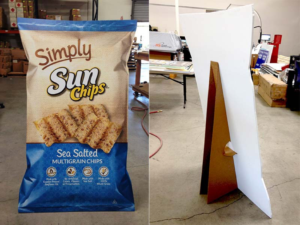 Gatorboard is comprised of two outer high-impact polystyrene panels that sandwich a lightweight inner foam core. Each outside panels are resistant to dents and dings as well as to moisture which is perfect for long term indoor signage use. 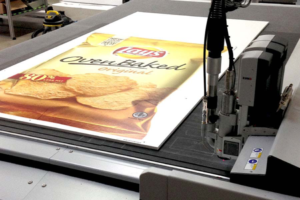 We can print and cut your Gatorboard sign to any size or shape using our state-of-the-art Zünd G3 3XL 1600 router cutter.